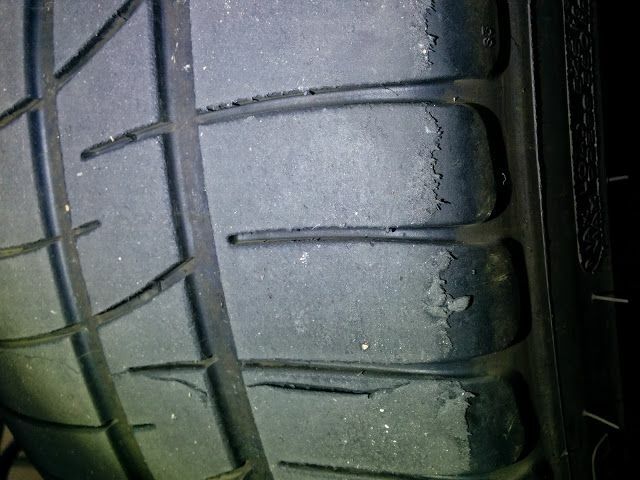 Inside tire wear pattern question - Miata Turbo Forum - Boost cars, acquire cats. My BFG Rivals (225 on 15x9 6ULs and 949 Big Grip Kit) are wearing strangely during the most recent track day. 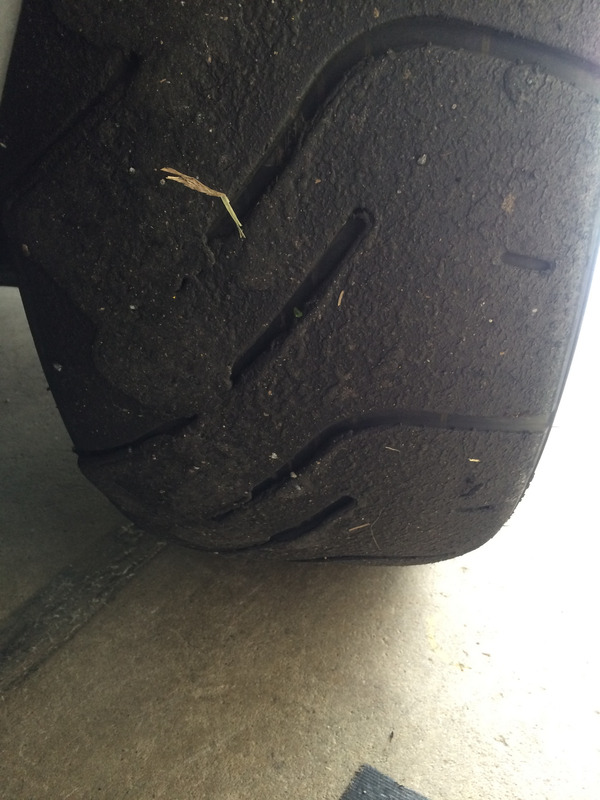 The outside edge of the tires are wearing nice and evenly, but the inside edge looks like it's barely wearing at all. 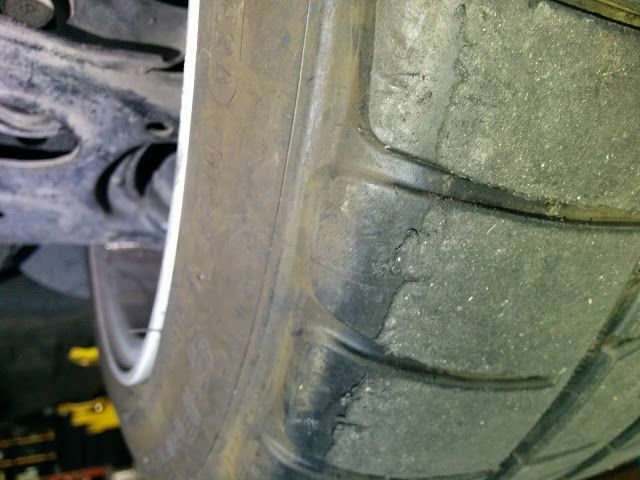 No wear on the inside would suggest lack of negative camber. Feathered edge on the outside would suggest a toe issue. What is the toe setting also do you have access to a pyrometer? 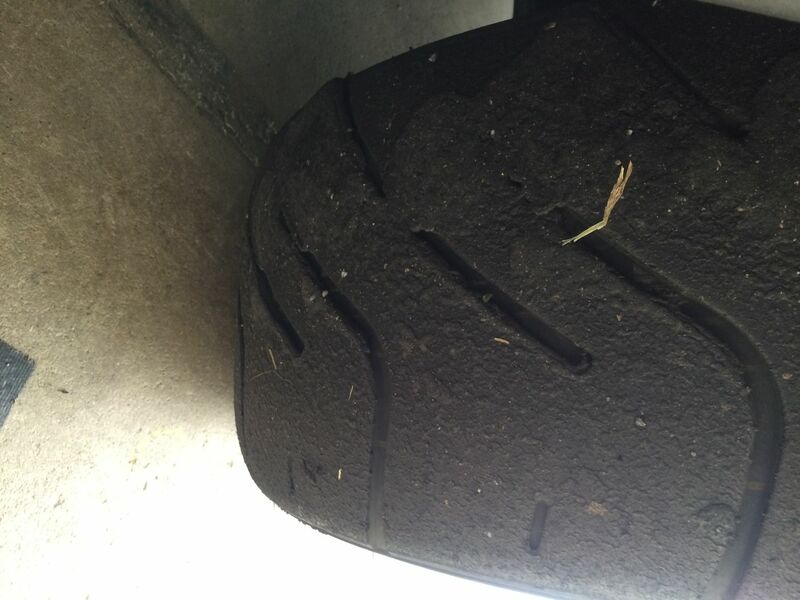 Here are two pictures of the same tyres on the same car with the same pressures but different alignments. Thanks for the reply. Here's my alignment sheet. Toe is set to 0 across the board. you should be aiming for no more than about 20 deg diff between outside to inside. 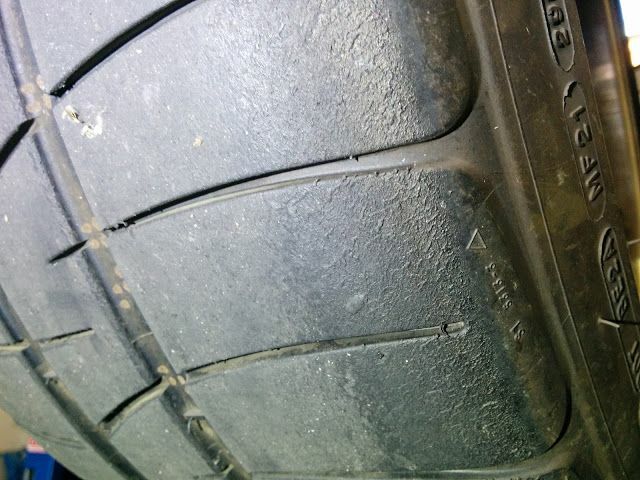 If the inner is hotter than the outside too much negative camber. 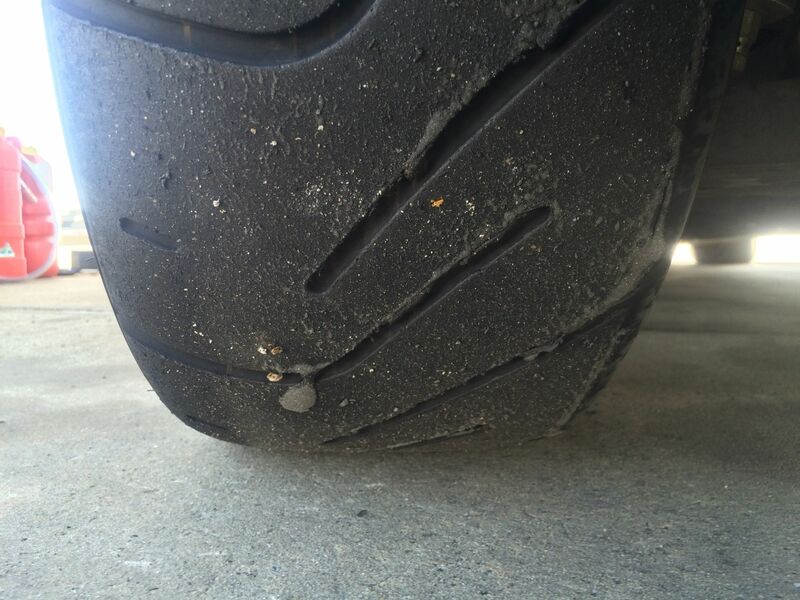 Outer edge hotter than inner not enough neg camber or too much toe in. Centre hotter than edges over inflated, centre cooler than edges under inflated. 151, 141, 133 are temps from my data. 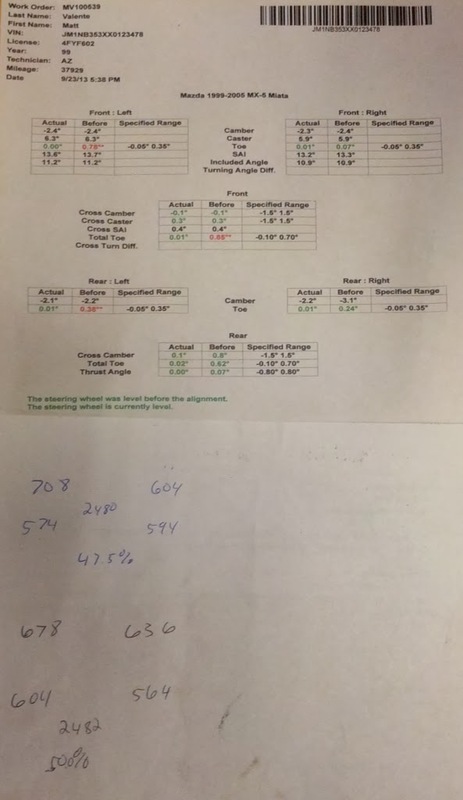 The average is 141.7 and I could decrease pressure or decrease negative camber. However you also need to look at the difference in the average temps of the front and rear. 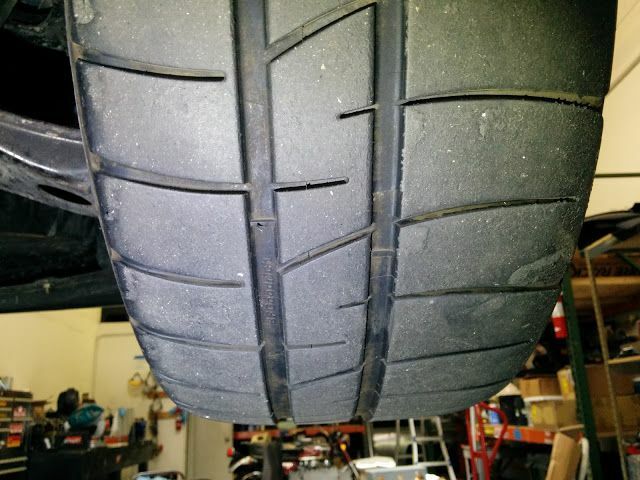 The OP's tires look fine to me. Anyone running Konig Advanti and 949 lugnuts?